This happens to all of us every year. We open our eyes one morning and ask ourselves, "Why the heck is it so dark out?" Then we climb out of our warm bed into the cold house and realize that autumn has arrived. There's such a small window of time where the sun rise happens right about the same time you wake up and that small window was 2 weeks ago for me. Jamie has been travelling a lot lately so I've been walking Khuno and although mornings just destroy me, it felt so amazing to be out in the crisp air with the sunrise and my gorgeous pup. Now it's just plain dark and I'm reminded of how miserable it's going to be when not only is it going to be dark, but it'll be flippin' cold and snowy. 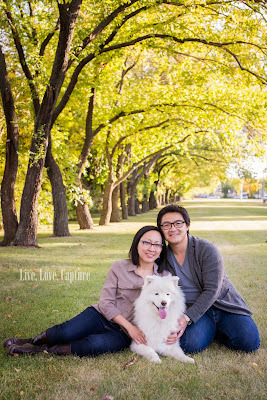 We did manage to get out this past weekend to snap some fall family photos. Here's a little updated family photo and for not planning our outfits, we coordinated pretty well. 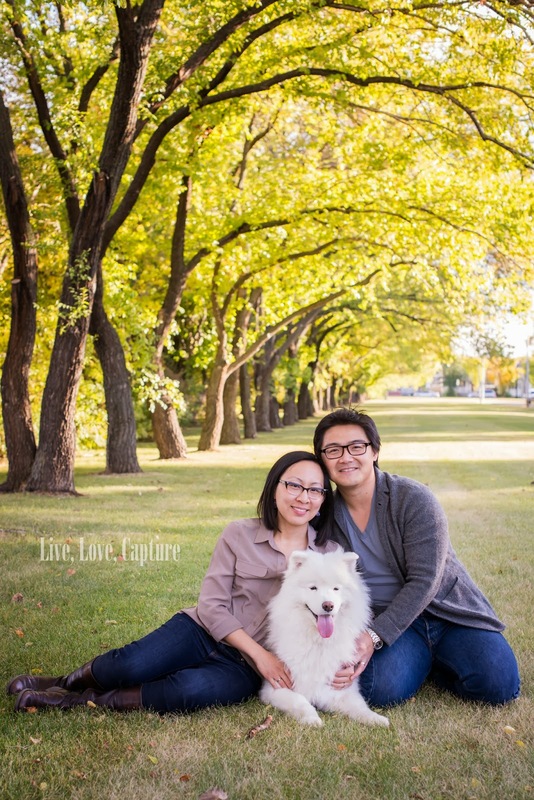 And for not taking very many photos, +Van Tran did a pretty darn good job snapping our family pic. 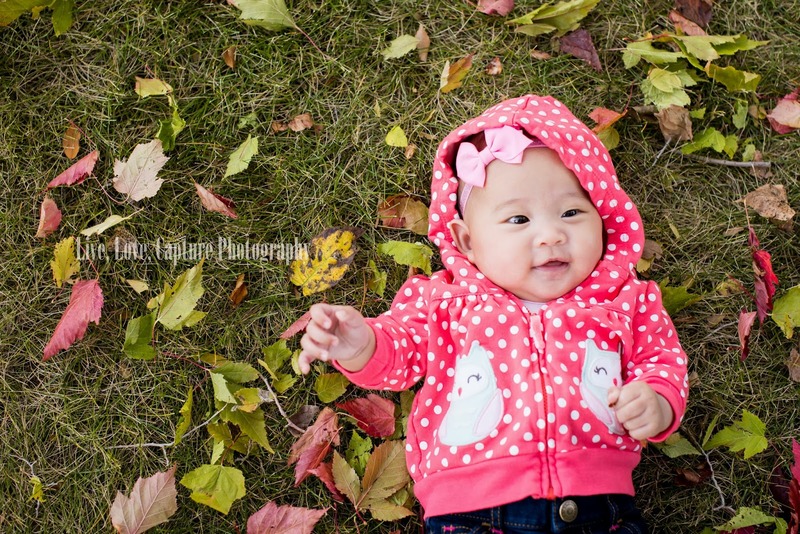 None of us could beat lil Annalise's cuteness though. She's giggling and smiling now which just melts everyone's heart. I <3 U little peanut!